The soils of the designation are brown, brown-lime and lime and generally have a large capacity for water and medium permeability. This permits the vineyards to subsist under lengthy drought conditions, making the most of the available water. These are soils with very little organic matter – its structure doesn’t allow the propagation of phylloxera. The soil has a high pH and low salinity and an ungrafted and sand-ungrafted texture that gives it good aeration. The vineyards are located on an area between 400 and 800 metres above sea level. 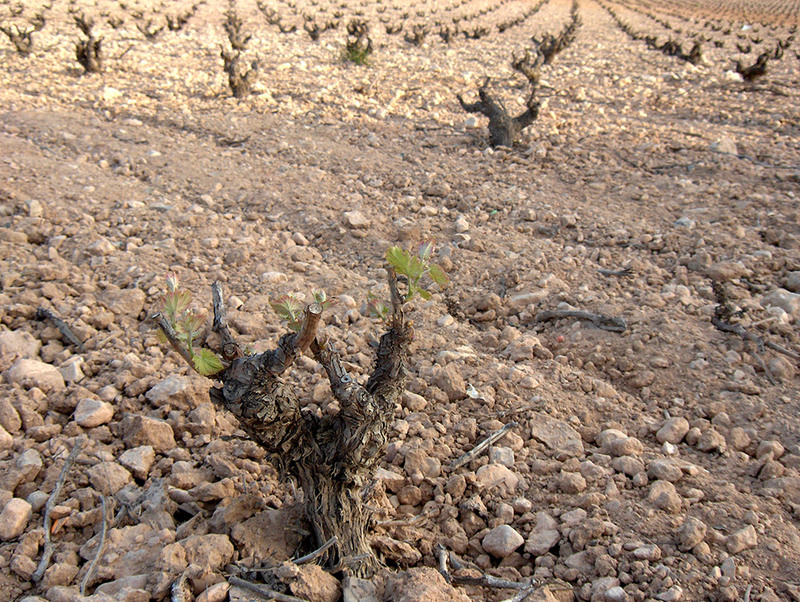 The character of the wines from Jumilla making them stand out among products from other areas is due to what is known as “terruño”, a magical combination of grape variety, composition of soil, the orientation and pruning of vines and the climate. 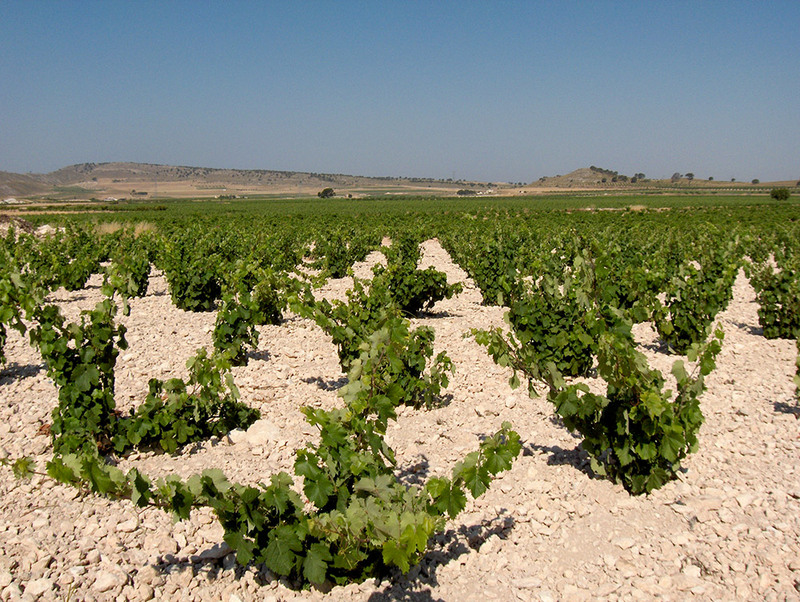 The climate of the area is continental, influenced by its proximity to the Mediterranean on the east side and La Mancha plateau on the west side. It is a sunny and dry climate, with some 3,000 hours of sun a year and scant rains – some 300 litres per square metre a year; these rains are very irregular and occasionally can become torrential downpours. The average annual temperature is 16º, with cold winters that reach temperatures below zero and hot summer of temperatures exceeding 40º. The frost period usually takes place between the months of November and March.